Ajadi Bchao andolan ( Protect your freedom movement ) is the economic movement . The members of this movements are against multinational companies and its zero level technology which is importing in India. There are many side-effects of Western Culture on the brain and consious of Indian people which multinational companies are importing in their products . They are try to get this new freedom through magazine named Udgosh . 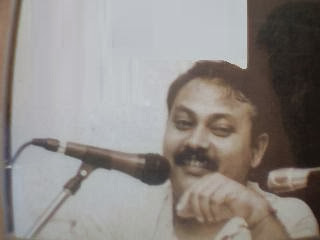 Shri Rajiv Dikshit and , Dr. Banwari Lal Sharma are its main speakers across India. They are also operating case in several courts against multinational companies and many decision are coming in the favor of Ajadi Bachao Andolan in India. 1) In 1986 we had started boycott campaign against Union Carbide of America. We got sucess in 1991 when this company had left Bharat. In this fight against Union Carbide, we had also filed a public interest petetion in the Supreme Court which is still pending. Only we got partial Relief in form of compensation to the victims of Bhopal. 2) From 1986 to 1994 we had stopped the Government of India to sign GATT Agreement with the help of a public interest petetion in Uttar-Pradesh High Court. But by the intervention of Supreme Court the Government signed the GATT Agreement on 15th December 1994. 3) We Started a very successful fight against PEPSI-COLA & COCA-COLA in 1997. In this Fight we have won 2 cases against Pepsi & Coke in the High Court of Rajasthan & Supreme Court of India. In this fight we have proved scientifically the Pepsi & Coke as slow poison. We have Proved also these soft drinks as Toilet Cleaner & Pesticides. Due to this campaign the sales of soft drinks in India has been reduced upto 70%. 4) We have stopped the Publications of 4 Vulgar & Obscene Magazines. 5) In 1994 we started a sucessful fight against a Liquior Company of America. In Rajasthan there is a holy place known as TIZARA. The Governtment of Rajasthan had signed MOU with an American company WILSON in 1993. We had filed a public interest petetion in Rajasthan high court in 1993 and we got a judgement in favour of us. After that this company had left India. 6) After this globalisation & liberlisation policy hundreds of foreign company have entered India via Mauritious route to save income tax & corporate tax. We fought against these companies in the High Court of Delhi & Supreme Court & we got a judgement in favour of us. 7) Since 1997 we are trying to promote Swadeshi products in place of Foreign products. Day by Day the sales of Swadeshi products are going up & sales of Foreign products are going down, due to this campaign. Since last three years the Balance Sheets of Foreign companies are showing negative results, in FMCG Sector (Fast Moving Consumer Goods). Since 1997 more than 1 crores Indian citizens have taken the pledge to boycott foreign products of FMCG Sector & other Zero technology products. 8) We are fighting against the misleading advertisements of Foreign Companies. we have filed 70 cases in different High Courts & Lower Courts against UNI-LEVER, COLGATE-PALMOLIVE, PROCTOR & GAMBLE, JOHNSON & JOHNSON etc. some case are still pending & in some other cases we got favourable judgements. 9) Since 2000 we are promoting organic farming in 13 States (MAHARASTRA, GUJARAT, RAJASTHAN, ANDHRA PRADESH, KARNATAKA, KERLA, TAMIL NADU, MADHYA PRADESH, CHHATISHGARH, JHRAKHANDA, PUNJAB, HARAYANA & UTTAR PRADESH). Uptill now we are doing this organic farming in 70,000 hectares. 10) Since 2002 we are trying to generate employment in rural areas. We are motivating unemployed youths to start Small Scale Units of making BATH SOAPS, DETERGENT POWDER, DANT-MANJAN, ORGANIC SHAMPOO & some 40 other products. Also we are trying to produce KHADI in our villages where Cotton is available. Uptill now we have promoted 118 Small Scale Swadeshi production units & Swadeshi Bhandar.